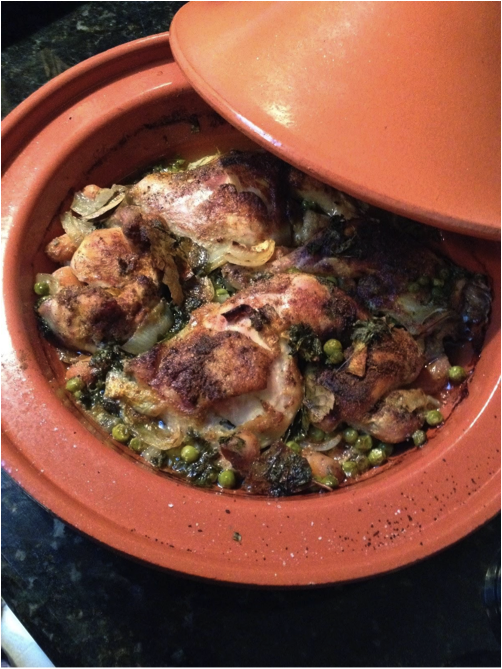 This recipe is based on my recent discovery of a culinary homonym, the tagine. The tagine is both a Moroccan earthenware cooking dish and a savory dish cooked in the aforementioned dish. It is drought friendly as it requires very little water to cook a significant amount of food. I first discovered the tagine at a small Moroccan eatery in Paris, and I have been hooked ever since. Though the tagine is typically prepared as a stew, I cook out the water to create a delicious meat and rice dish.